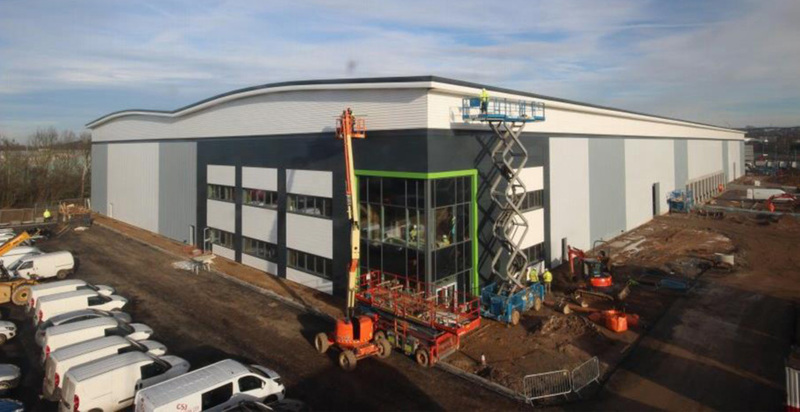 The construction of a 130,000 square foot distribution facility and warehouse building for Goodman Real Estate (UK) Ltd.
A design and build project including bespoke office space of 6000m2 on two levels, and external works to include a 105 space car park and service yard. The scheme was undertaken within the confines of a busy commercial park, and adjacent to a busy main road. Effective traffics management was vital to ensure safe access and egress was maintained for the surrounding premises and their vehicles. 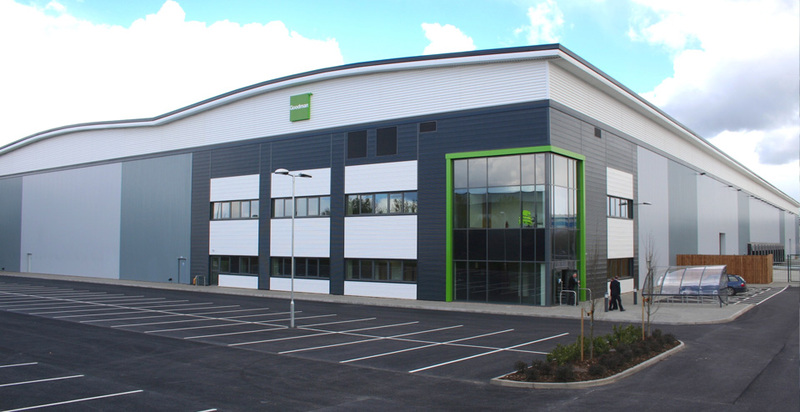 The unit is situated on the premier industrial and distribution park which is situated off the M1. 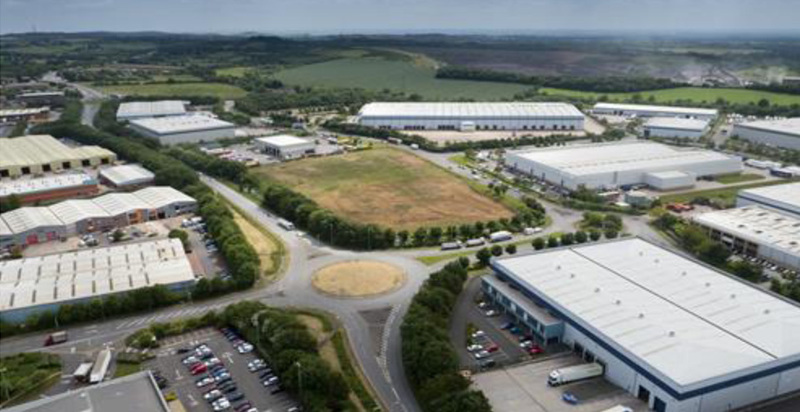 Current occupiers on the site include Brantano, Laura Ashley, Nissan & Hays Distribution.